Vavatsinia is a village in the Larnaka province and is located in dense pine forest. It is adjacent to the villages of Agioi Vavatsinias, Melini and Odou. 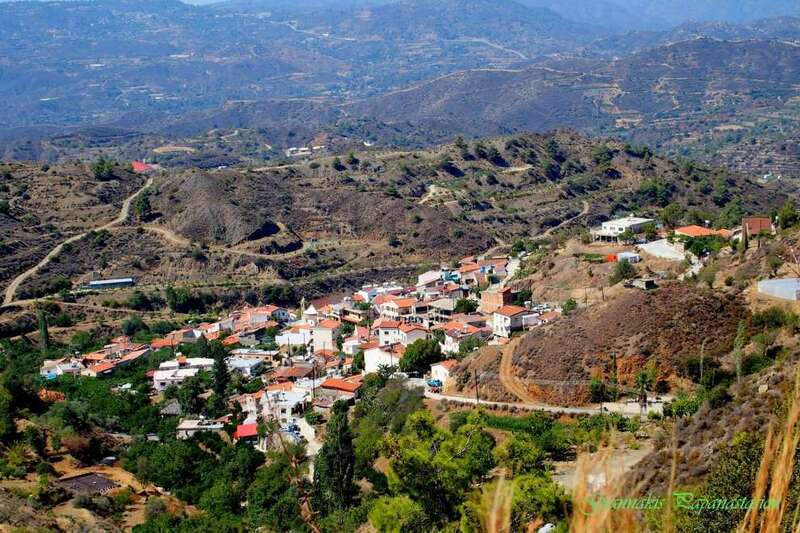 The village of Vavatsinia in the Larnaka Mountains, with pine forests, narrow streets and traditional architecture, is located at the southeast foothills of Troodos and in the south of Machaira Forest at an altitude of 840 meters above sea level, northwest of Lefkara, 10km away. The village took its name from the homonymous trees that existed in the area of ​​the village called "vavatsina" (berries). During its history, the village of Vavatsinia has experienced many population fluctuations and today has only 81 permanent residents, while during the summer months its population is much larger due to the holidaymakers in search of a cooler, calm and carefree escape. According to the site of the village, Vavatsinia was founded in the era of Arab raids. Today the village is famous for its picturesque restaurants with the traditional mezedes of Cypriot cuisine, the sweets of the spoon and the traditional desserts served in the tavernas. In Vabatsinia there are 2 churches and 3 chapels. The big church of the village is dedicated to St. George the Tropeoforos and was built in 1912 by donation. It is located in the center of the village and is royal. It celebrates on the 23rd April and 3rd November. In the area where the church was built, there is a big Tremithia and the villagers turned on a lampstand at Saint Georgios. The second church is dedicated to Our Lady Panagia Eleousa, which was the first in Vavatsinia. It is located to the west of the village. The church of Panagia Eleousa is renowned for its unique gynecone and is under the protection of the Department of Antiquities. The cemetery is located in the courtyard of the church. It celebrates on August 15th, when a big feast is being held. The three chapels of Vavatsinia are the chapel of Panagia Koumniou, the chapel of the Savior and the chapel of Saints Raphael and Nicholas.